Globalization has the center of attention for many companies as they see the need to expand their product offerings to consumers of a different geographical location as well as of a different culture. 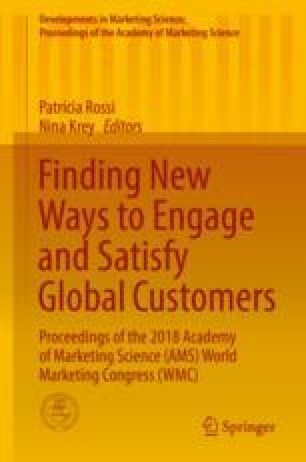 Effective international market segmentation (IMS) is an indication of a clear understanding of the what, where and how products are being promoted and sold worldwide (Cleveland et al. 2016). The strategy chosen for a market segment varies accordingly across different cultures. The purpose of this research is to examine whether consumers’ national identity, national animosity and ethnocentrism have an effect on attitude when consumers’ perceived product and country image are added as mediators. Research has been circling around the concept of country-of-origin (COO) for years. There are also several other variations of COO which includes Product-Country image (PCI), country image, product and brand image. COO is widely known as the “Made-in” label, and this COO effect is often overlapped between how a consumer perceive a country image and a product image. Consumers’ perception of a country affects their perception of the quality of a product or brand that is originated from that particular country. In this research, the COO concept was beyond where a product was made-in. Consumer ethnocentrism was used to examine the relationships between national identity and consumer’s perceived product image and country image (respectively). The results show consumer ethnocentrism has an effect on product image but not on country image when national identity is used an independent variable. In other words, for Americans, a “made-in USA” label is more important than portraying an image of USA. This result suggest that Americans have a strong sense of their national identity. This implies that Americans’ impression of their own country is influenced none other than their belongingness to their home country. This study used bags as a stimuli. Although it is a study to determine young consumers’ ethnocentrism, its effect on (1) COO labeled products, and its impact on their (2) purchasing intention, may not be elaborative enough to measure a general mentality of the American community. In many promotional ads, there are many situations where different types of products are used and different market segments were targeted. Thus, for future research, different product types will be used to determine the effect of consumer ethnocentrism and national identity on “Made-in” labels. Emi Moriuchi and Christina Chung are equally contributed to this paper.